QR codes enable website linking from mobile phones. And are a simple way to connect your prospects to your physical marketing materials. Who wants to ruin a nice design with a pixellated image plonked down in the corner of the page? We’ve found easy ways to improve the look of QR. 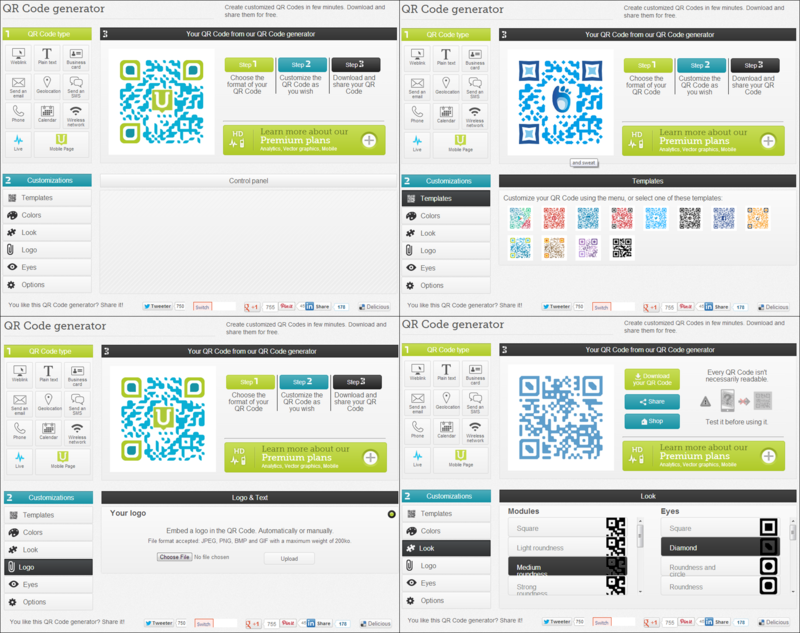 Unitag Live is a website that lets you create and customise QR codes in a huge variety of ways. More free online QR code generators have limited customisation but Unitag lets you add your logo into the code, change the corner images and alter the colours. The first step in the QR code creation process is picking the website your QR code will link users to. You can send them to a location using the GPS on their scanner or tell their smartphone to instantly call a number. You can even have the QR code call in a business card for the user to look at. Once you’ve directed users to the right content you can start customising the look of your QR code. Unitag has several predefined template ideas, but gives you the power to alter every aspect of your QR code in a variety of ways. Colors (American spelling) – allows you to modify the QR code colour. You can also blend two colours into the QR code which gives a shaded rainbow effect across it. Look – this modifies the shape and style of the corners and main section of your QR code. The main section refers to the dots that make up the code. Logo – uploading a photo here places that uploaded image in the center of your QR code. Large files cannot be uploaded however so you’ll have to save big images as smaller ones (e.g. reduce the size in powerpoint and re-save it as another picture). Eyes – this feature changes the colour of the inside and outside of the corners on your QR code. Options – here you can change the background colour of your QR code, it’s shading and the quality of the image (the size). 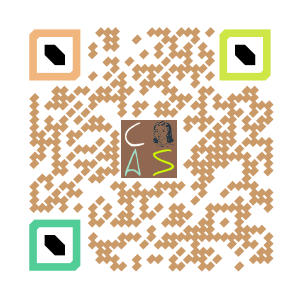 Be wary of altering this too much because if the background colour clashes with the QR code colour then the QR code cannot be read by scanners (e.g. dark purple QR codes on a dark blue background will not work). Definitely explore the higher level plans if you run marketing campaigns that require heavy statistics tracking. Website clickthroughs and tracking on Google Analytics would more than likely track the same statistics, however. Just to give you an idea of what these codes look like and are capable of, here’s one that leads back to the Creative Agency Secrets homepage! We have a client who sells training courses to their customers. These run over a series of weeks. They have customers in New Zealand, Australia, UK and USA. They need some custom coding to automate the process of taking a booking, sending autoresponder emails and SMS messages to remind customers throughout the course series to turn up! They are using Bookeo.com for the bookings; Vertical Response for the autoresponder and SMS Global for the instant messaging. Are there better alternatives to replace Bookeo? This would be very attractive especially if the website could be configured to only display courses for the country the visitor is from. The current Bookeo service only allows you to filter by category of class and a list of class venues – which isn’t searchable. And so a better service which presented classes by City and then suburb using search rather than a pick list would be preferable. Call Rebecca Caroe to discuss further. And send us your scope of work and fee proposal. Want to get email alerts for all our sub-contracted projects? Join our Sub Contracted Services newsletter and get an email any time we publish a new job. Or check back to this blog using the Sub Contracted Services category. As an analytics tool DashThis provides in-depth reports on your pages using devices called “DASHBOARDS”. You get acertain number of dashboards per month but can swap them for different periods or social media links, essentially re-using them. Once you have loaded in your page (e.g. Facebook) you can select it when you next create a dashboard. You can customise these dashboards to show the information you want, but you cannot seem to take it further than that and must use what they have built in. Dashboards are versatile and can be used for a variety of statistics. The rolling dashboards are for instant statistics. Periodic reports do just that, report across a set period. Campaign dashboards follow the response your activities have gathered over a given period. This gives DashThis a wider variety of applications outside of just tracking social media page statistics. The FREE account ends in just two weeks, which you can extend to a month by sharing DashThis.com otherwise your account will become inactive. From then on you have to pay a monthly fee where you get a number of dashboards starting at 1 dashboard for $19, then 3 for $39, 10 for $99 and so on. 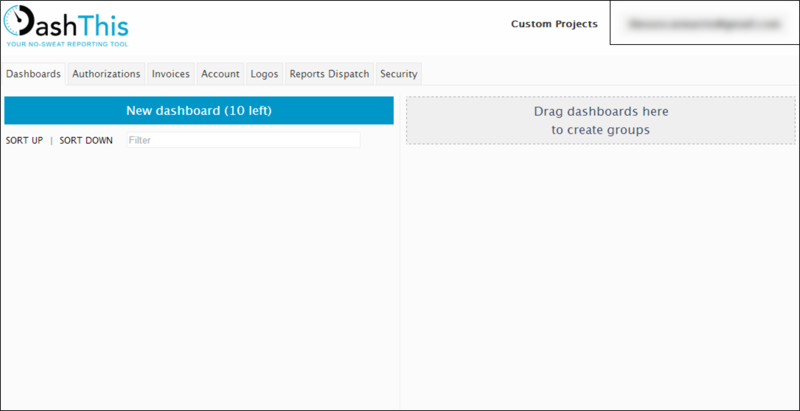 This means you can only have a certain number of dashboards active at any one time but you can delete one and recreate it for another page. In that way you could start with 1 dashboard and check a series of reports daily, although this could become time consuming. Who would DashThis be good for? 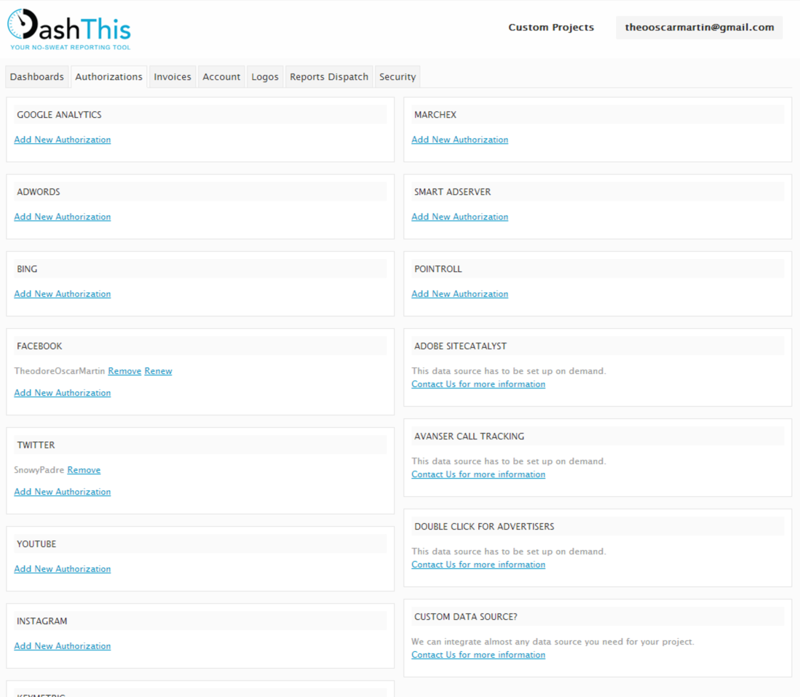 DashThis is a comprehensive statistics tracking tool suitable for businesses managing a wide variety of pages, particularly social media pages. In some cases pages have their own tracking systems (such as Facebook on company pages) so if a business has a limited number of pages to track, having them all in one place won’t do them much good. The picture above shows the multitude of pages DashThis supports, including a new way to view Google Analytics. If you’re a company overwhelmed by statistics tracking on multiple pages you’ll want to give DashThis a trial run. If you already have your analytics figured out it’s best to give this one a miss.